Our neighborhood revitalization work is aimed at improving the communities that people live in. 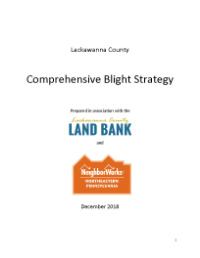 Since launching this work a number of years ago, NeighborWorks has made improvements to over 500 properties in our targeted neighborhoods of West Scranton and Carbondale. During this time, we have deployed over 1,800 volunteers (contributing over $1.3 million in labor) to make home repairs, improve blighted and vacant lots, and coordinate community events. Now, an action team is hard at work implementing these strategies. Each summer, we partner with Group Mission Trips to bring hundreds of youth and adult volunteers from around the Northeast United States to Lackawanna County to provide free home repairs to our neighbors in need. This year, more than 400 volunteers will converge in Scranton and surrounding communities to provide painting, porch repairs, and wheel chair ramps for up to 75 elderly homeowners.